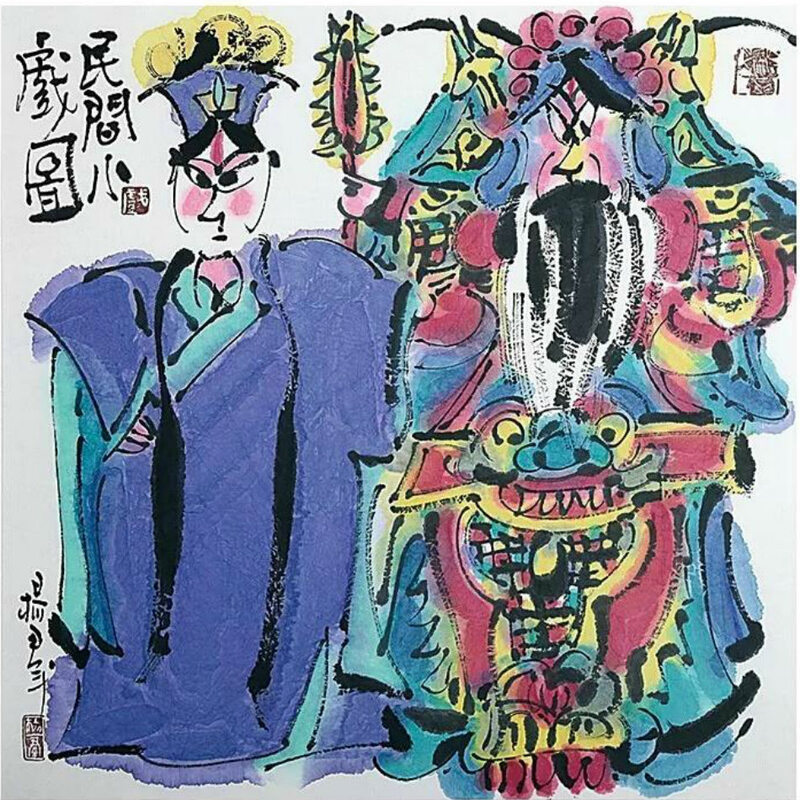 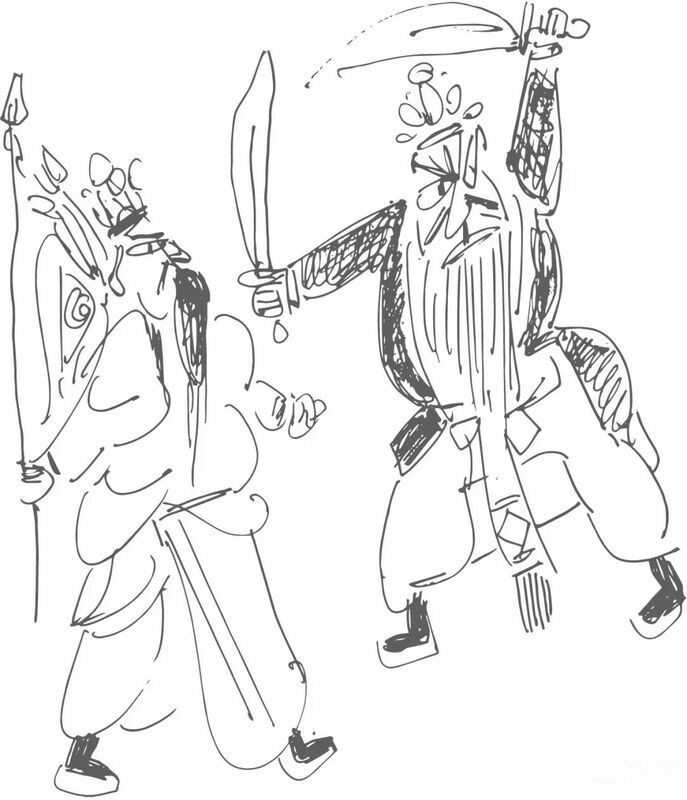 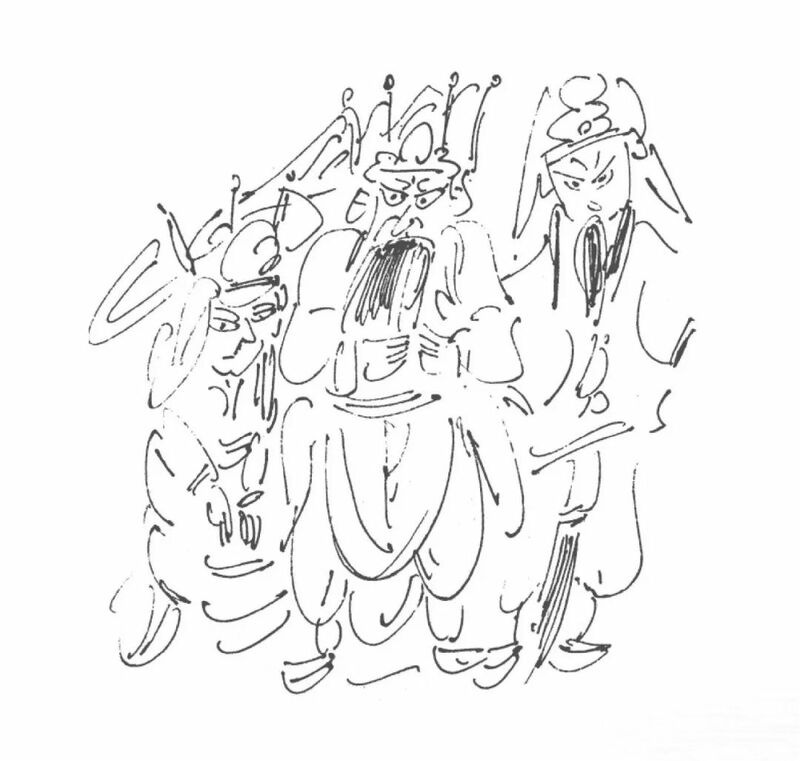 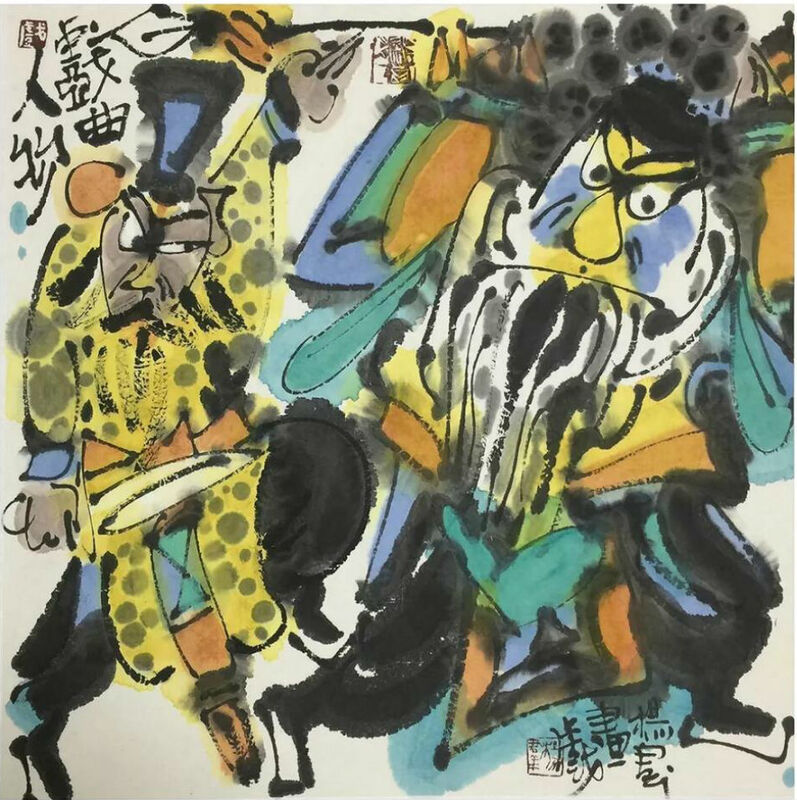 Chinese ink painting and Chinese opera are characterized by spontaneity, flexibility, similarity of spirit and freehand brushwork.Yang qun's figure painting in ink drama has the characteristics of neo-expressionism.He absorbed the elements of the mother culture of Chinese folk art, and tried to transform the modeling language and image thinking of Chinese folk into his drama and ink painting, endowing his works with visual tension.From the works of Yang qun, we can feel that the maternal culture inherited for thousands of years has been perpetuated. 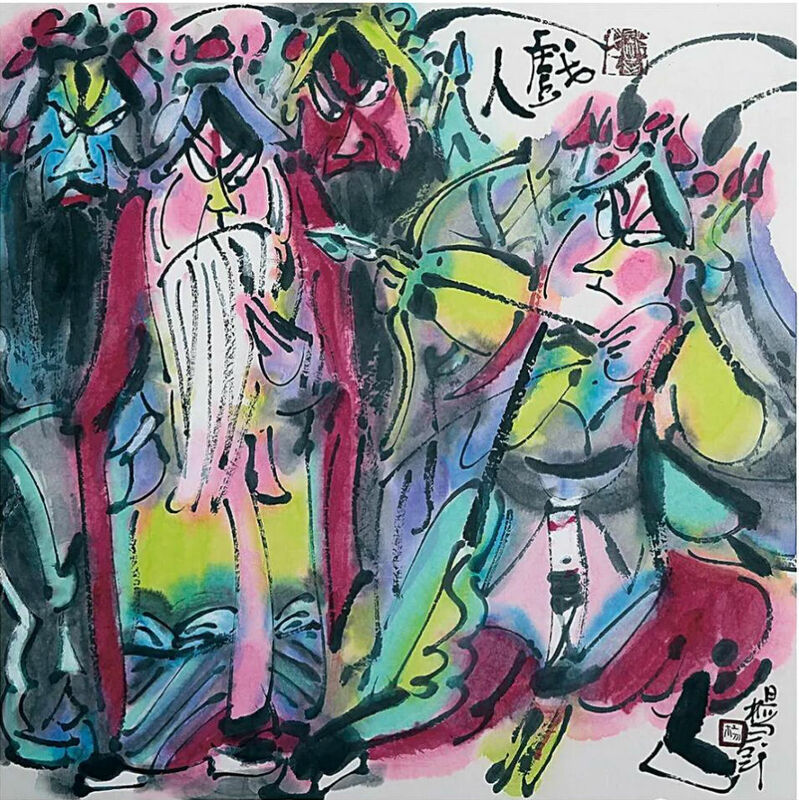 Taught in Art Department of Teacher’s College of Fu Yang in 1985 and participated in first Two-person’s woodcut show in Nanking, 1986. 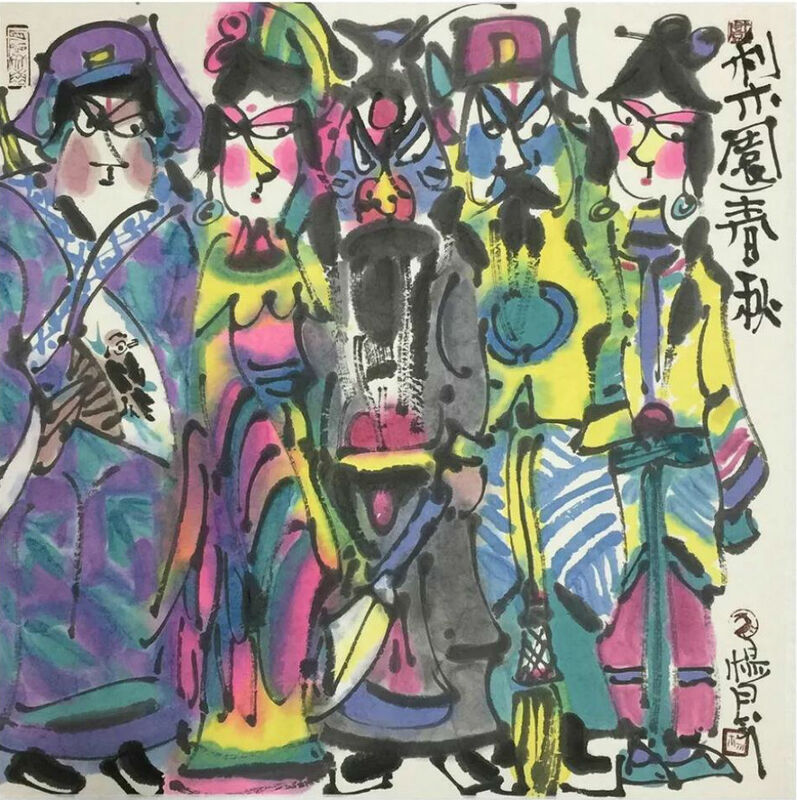 Received first prize in Papercut Competition of Chinsese Art Museum in 1989 and entered China Central Academy of Fine Arts for further study exhibited at art show in Tian GuGu Art Museum in 1990. 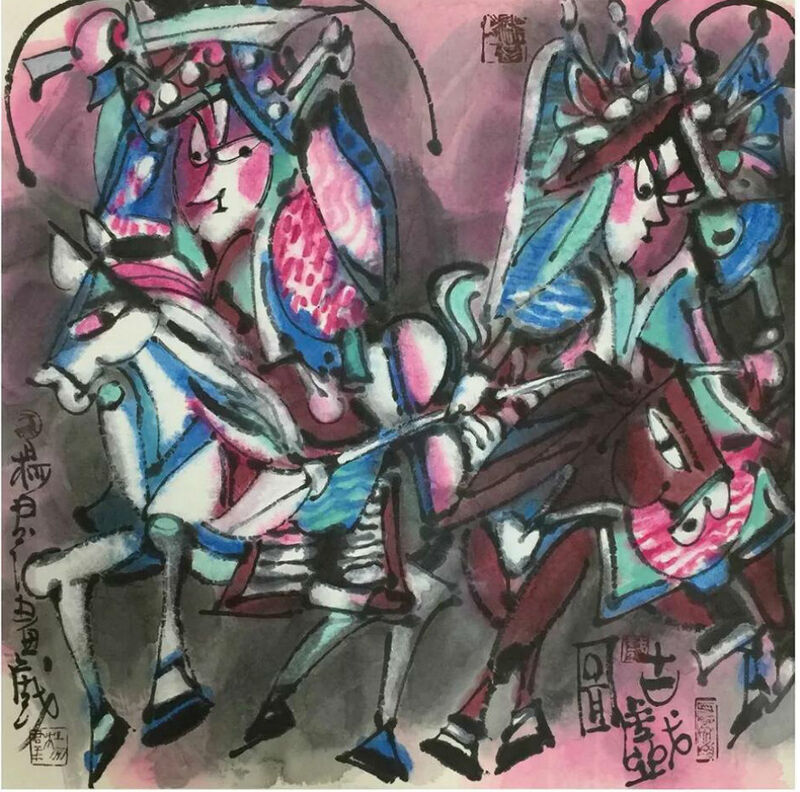 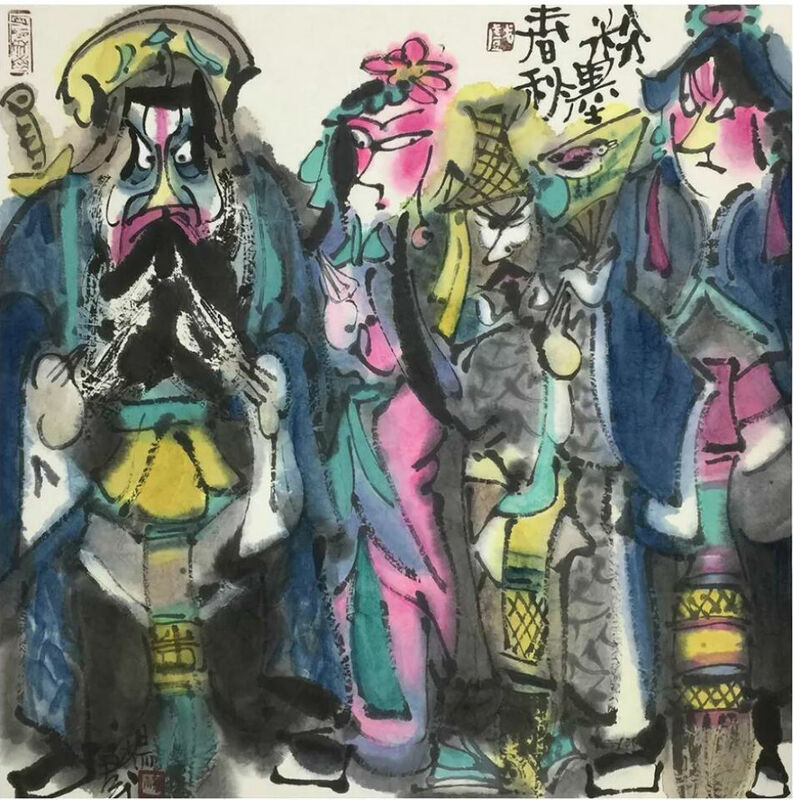 ‘Life is like a play, Yang Qun paints the play” art show in The Cutural Palace for Nationalities, Beijing in 2017. 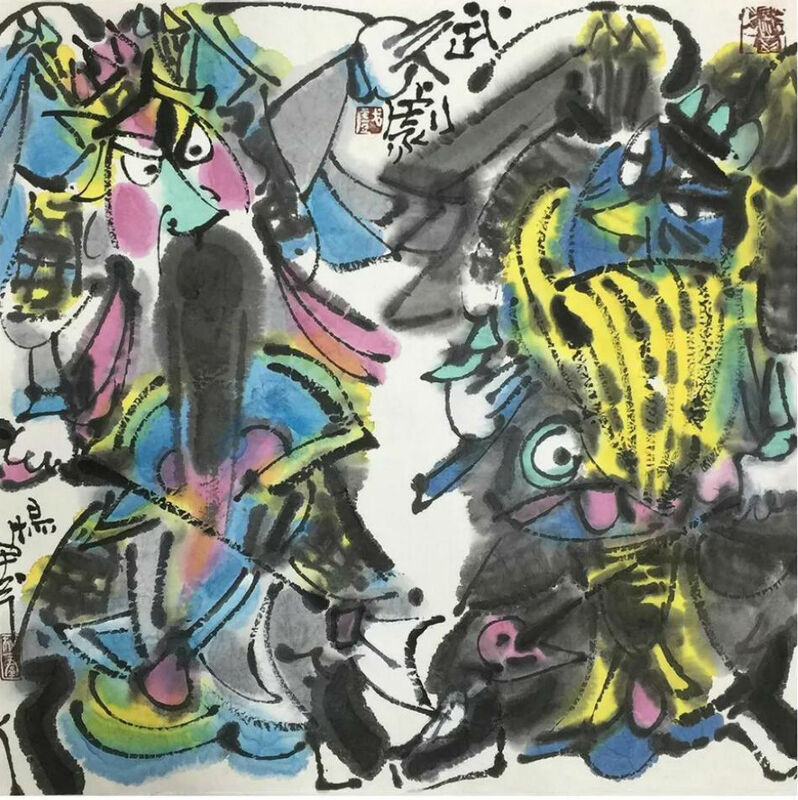 His works have been collected by American Rockefeller Family, Quantum Funds, France’s Chinese-Western Cultural Society and Australian Brisben state senator. 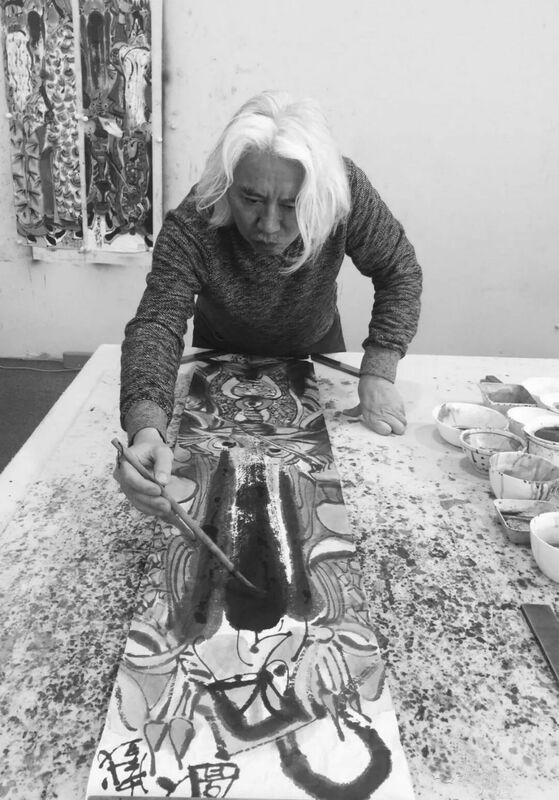 A professional artist, Yang lives in Beijing at present. 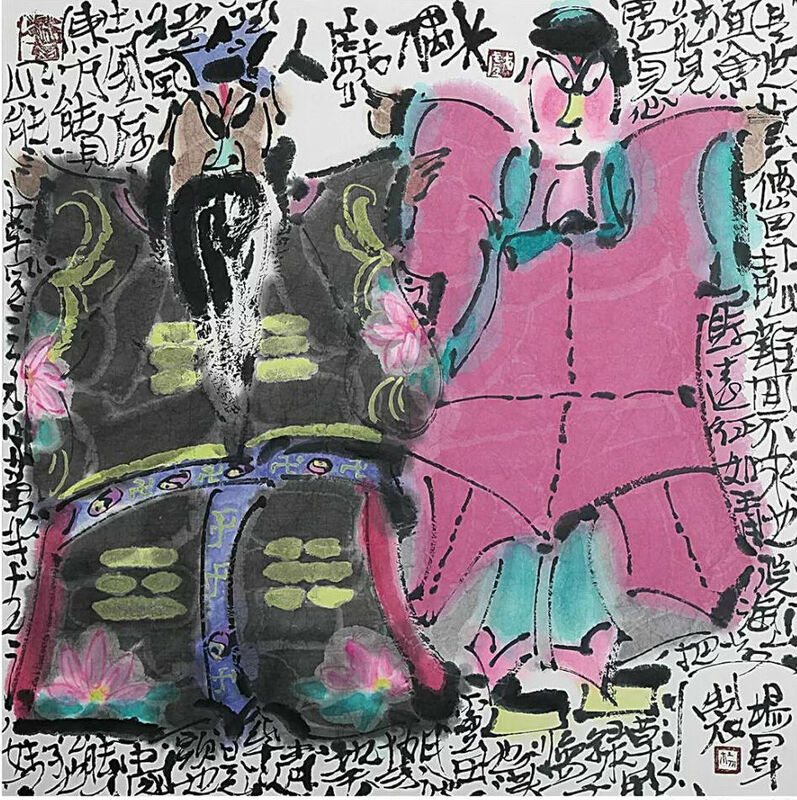 One man's work is like one man's shadow.From birth to death, you are with this person.Sometimes you always see your shadow through some people.